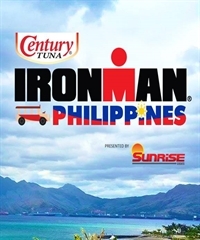 Athletes will begin their IRONMAN journey with a one-loop, 3.8km ocean swim in the calm, pristine waters of Triboa Bay, starting and finishing at ACEA Resort which will also play host to the first of the split transition areas. Once onto their bikes, athletes will head out of Subic Bay and onto the Subic-Clark-Tarlac Expressway (SCTEX) for a fast and flat two-loop, 180km ride which will bring riders back into the T2 at Remy Field in downtown Subic Bay. The 42.2km, two-loop marathon run will take in some of the best coastal views that the area has to offer and will be a buzz of energy with local supporters lining the streets to cheer the athletes home.